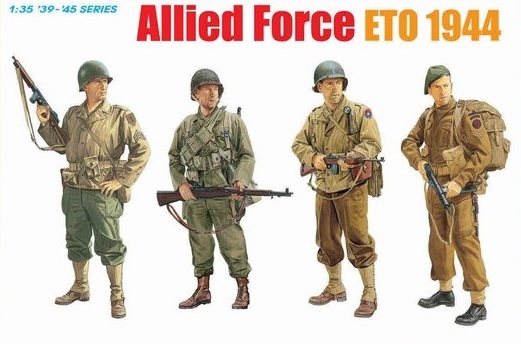 Dragon’s 1:35 scale figure set features four soldiers from the ETO in 1944. Befitting the transatlantic nature of the alliance, there are three US GIs and one Royal Marine Commando in the set. Each figure is sharply sculpted in a realistic pose, and they are versatile enough to fit any number of scenarios. They obviously depict European combat in 1944, and the British and American soldiers can be deployed individually or even combined as a complete set. They carry weapons suitable for the period, as well as all pertinent uniform and personal equipment items. 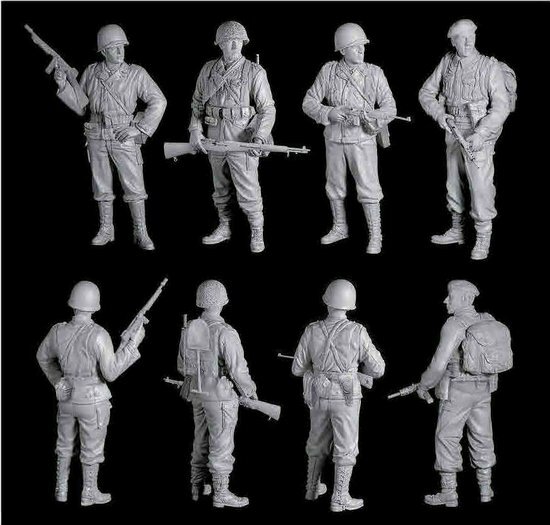 These figures are ideal for a Normandy scene, or indeed for the later race across France, and the set forms a useful addition to figure and diorama modelers.